Please complete as much information as possible so that we can give you the most accurate quote. Don't worry if you are not sure which type face or orientation you would like, we will work with you to get the design just right, and the information on this form just gives us a starting place. Our Custom House Signs are individually hand made to order in our UK workshop in Natural Slate or Solid Oak and are totally bespoke, we even cut the piece of wood / slate to the perfect size for you. If you can't find quite the right thing in our standard range or have a specific idea in mind we can work with you to come up with the perfect design. 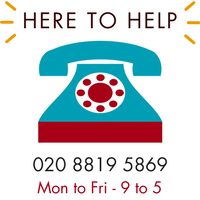 Simply complete the form below with what you'd like or if you need a little help deciding on what's right for your home, just give us a call on 020 8819 5869 and we'll be happy to talk you through the options. We'll provide you with a quotation and artwork for your approval so you can be sure the design is exactly as you have requested.